Research tools for World History I, Mr. Ward and Mr. Treadwell. Use 'advanced search'; 'exact phrase'; "alexander the great"
Use library passcode "randolph" for access off campus. A fabulous site focusing on Hellenism in general, with specific chapters devoted to the life of Alexander. A comprehensive database of archived journal articles, books and other information bits. Recent, scholarly commentary on historical events. Facts on File database about ancient civilizations. Alexander the Great has his very own section. -Examine good results for "tags" or "subject headings" and use those to find more relevant results. Alexander III of Macedon ruled his kingdom for just thirteen years, but that was enough time for history to remember him as Alexander the Great. Since his death, Alexander's exploits have been the subject of controversy and debate, leading many to question whether he truly deserves his epithet. You will write a blog that answers the question: Was Alexander the Great really great? Before you get there though, you will need to determine your definition of greatness. Keep in mind, as you complete research, your definition of greatness may evolve. b. Read and discussed in class Plutarch’s lives on the U of Chicago and discussed in class.These sources may be used in your project. c. Advice to 5th grader what would you tell a 5th grader if they asked you about how to become “great”? 4. 3-5 quotes which support your argument. This post is available for everyone to see! Take pride in your work, including your grammar and the overall appearance of your work. There is a lot of information available on the internet via a Google search. Not all of it is valid. The key is to find credible sources written by authorities on the topic. In general, college and university websites which end with .edu can be trusted. Websites that end with .gov are associated with the government and can also be trusted. Websites that end with .mil are associated with the military and provide good insights into both history and policy. Websites that end with .com, .org and .net are not as reliable. They are sometimes sponsored by commercial ventures or organizations who, in some way, profit from promoting a particular point of view. In other words, they are biased. Finally - try Google Scholar. By typing scholar into the Google search box, you can click on Google Scholar. Most articles within this database have already been limited to scholarly content. "word" find exact words - no synonyms or plurals "election" "fraud"
"set of words" search for exact set of words, quotes or phrases "I am not a crook"
Use the library catalog to do key word searches. 'ancient greece' will show materials, primarily, in 938 (history), and 305.4 (social and cultural issues); 'alexander the great' shows 938 and B, for biography. Browse to the right and left of any particular title to find similar materials. 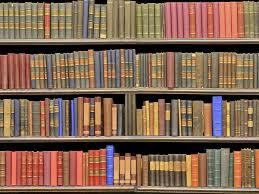 Look also in the Reference section, under the same call number, for more books on the same subject. Wikipedia? If you use it correctly! Wikipedia should not be used as one of your sources. However, there is nothing wrong with using Wikipedia as a starting point for research. Wikipedia can give you a good overview of a topic and reading the references at the end of the article can get you started on finding reliable, scholarly sources for your own research.